Adult Karate Training with Team Black Belt is suitable for all ages and levels of fitness! Our classes are fun, friendly, motivating and empowering, with your safety as our top priority. We adapt all the training to match your fitness levels and capabilities, and huge amounts of strength are not required. 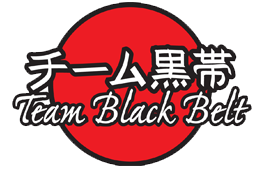 The benefits that you will gain from training with Team Black Belt will include an massive increase in your self confidence, whilst also improving your physical stamina, strength and flexibility. It will show you how to programme your body to react effectively, automatically, and instinctively against would be assailants. Our Mission is to help our students become more successful in life. We do this by teaching our Karate as a complete discipline (mind, body, and spirit) which, in addition to developing physical defence skills will increase self esteem helping you to meet all of life's challenges with confidence.